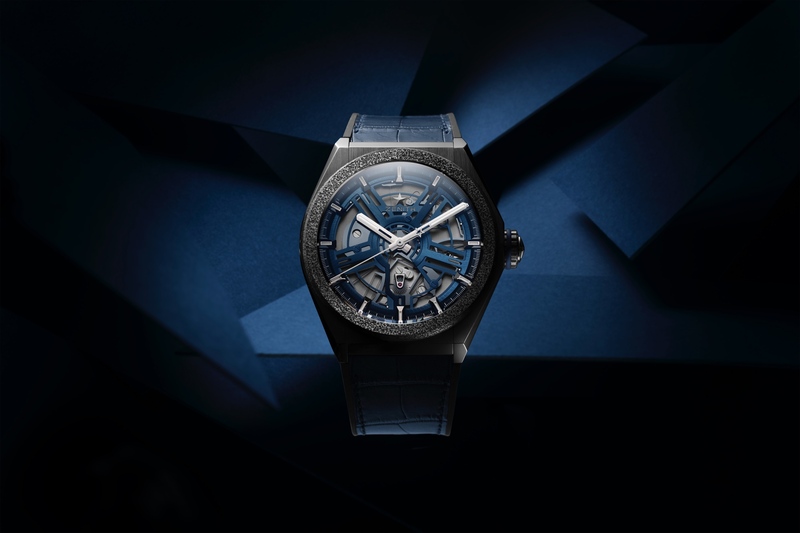 Today, in Le Locle, Swiss watch manufacturer Zenith debuted the all-new high-tech Zenith Defy Lab timepiece – presented in a 44 mm diameter case made of Aeronith which they claim to be the world’s lightest aluminum composite material. 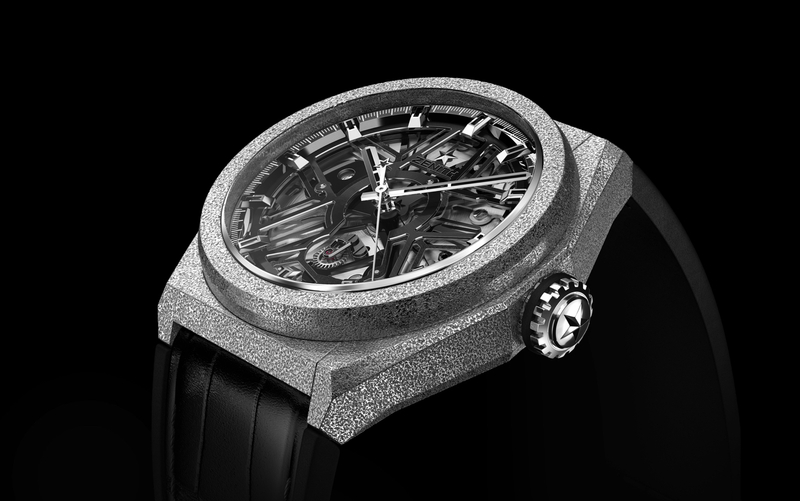 The real story, however, is what’s inside the case: an all-new mechanical movement that beats at an astounding 15Hz and uses a new one-piece oscillator made of monocrystalline silicon which replaces the traditional “sprung balance” design used in virtually all mechanical watches. According to Zenith “The 30 or so components of a standard regulating organ (which requires assembly, adjustment, timing, testing, and lubrication) are thus replaced by a single element measuring just 0.5 mm thick (compared with the usual 5 mm). This breathtaking development beats at the incredible frequency of 15 Hertz, with an amplitude of +/- 6 degrees, and is endowed with an almost 60-hour power reserve – more than 10% more than that of the El Primero – despite three times higher frequency. This frequency endows it with an exceptional – almost 10 times higher – degree of accuracy. Its mean daily rate is precise to within just 0.3 seconds. 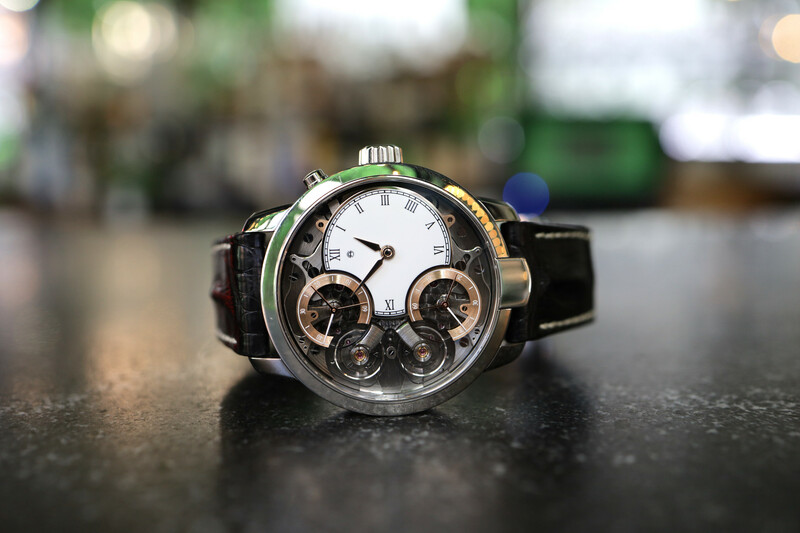 (By way of example, one of the criteria for COSC “chronometer” certification is the average daily rate on the first ten days of testing: from -4 seconds to +6 seconds, meaning up to 10 seconds per day). Additionally, the new movement design has no need for oil as no contact means no friction and therefore no need for lubrication. Not to mention, presumably, less need for adjustment by a watchmaker over time. This design is also insensitive to temperature gradients, gravity, and magnetic fields which of course helps timekeeping accuracy in comparison to a traditional balance system which can be greatly affected by all of these aforementioned factors. Beating at 108,000 vph, the oscillation rate is three times higher than the El Primero’s 36,000 vph, yet it maintains a 10 percent higher power reserve, and incredibly the amplitude range is +/- 6 degrees compared to more than 300 degrees with a conventional system. Plus, there is no sign of jerking as the running seconds hand rotates around the dial. This is truly a horological breakthrough, and watching the high-speed oscillation occur through the dial cut-outs is so cool. 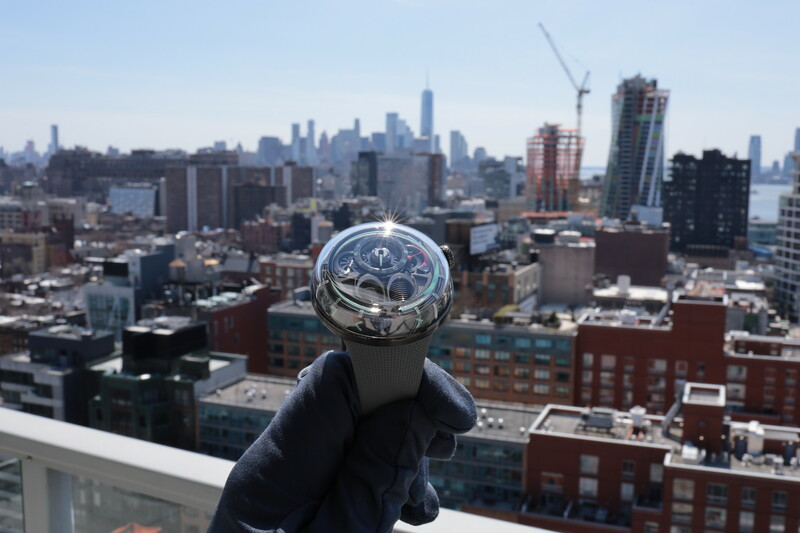 Whether this will help Zenith sell more watches at scale – especially considering the somewhat peculiar Hublot-esque case made of an unproven material – is a different story altogether. For now, though, they pre-sold 10 limited edition sets at a price of around $30,000 and that is all they will sell until they introduce a completely new commercial version at Baselworld 2018.